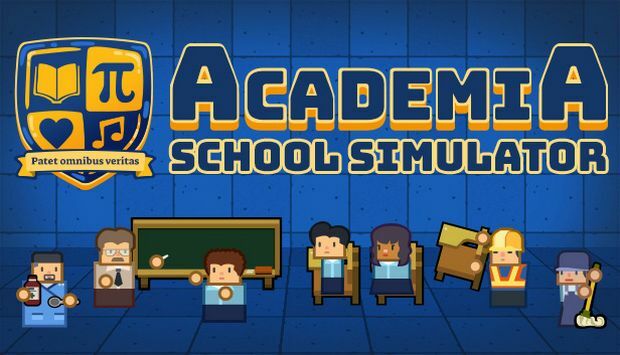 Squeaky Wheel Studio is excited to announce the release of Academia : School Simulator' Alpha 2. Numerous updates have been made to the game since we launched Early Access, and we feel like we’ve hit a milestone point in the development of the game. The latest updates included teachers departments and scheduling, trash management, and a brand new UI. More customization is on offer as well, allowing you to set difficulty levels for their schools, as well as choosing to run an all boys or all girls school. Previous additions included delinquency, guidance counselors, and a school ranking system that lets you rise up the ranks. Many new zones as well as decorative items have been added to let you build the school of your dreams! Alpha 2 also sees the launch of the much awaited Mac version, as well as a week long 20% discount. For more information check out the Academia : School Simulator Steam page.